Love it or hate it, hipsterism is spreading quickly in the motorcycle world, particularly with small- to medium-sized bikes. 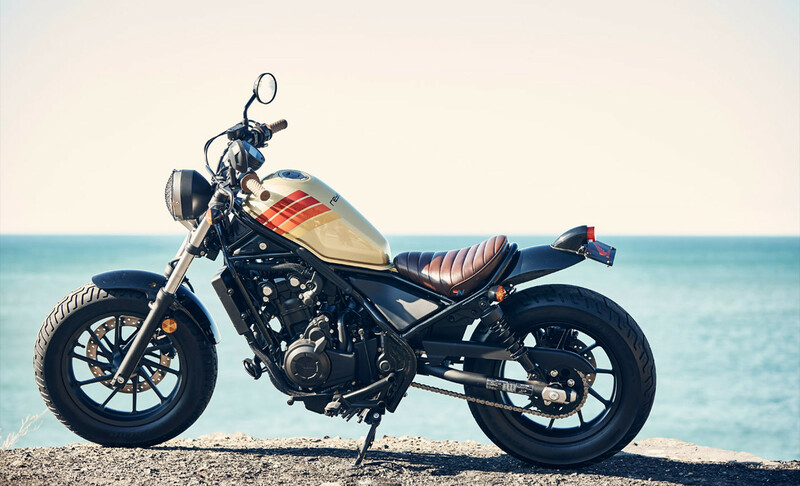 One popular bike in that segment is the Honda Rebel, which is all-new and packs a clean-sheet design for 2017. Now available as either a 300 or a 500 model, the Rebel hs gone from looking old and dated to modern and retro, with the redesign bringing along with a mechanical overhaul that made a good bike even better. 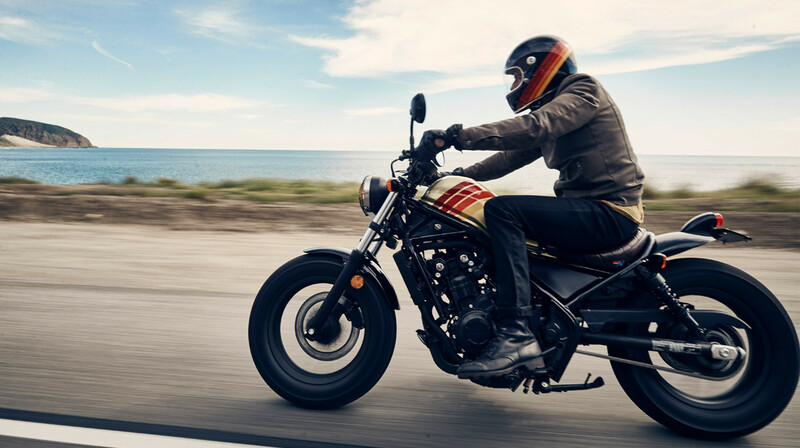 In an effort to appeal to the hipster market that’s getting into motorcycles these days, Honda is running a giveaway in collaboration with Los Angeles-based lifestyle brand Aviator Nation. Two Honda Rebels that have been given a custom treatment by Aviator Nation are up for grabs. These custom cruisers first debuted at the SXSW festival in Austin, Texas in March. The fuel tank, which has a gold shimmer bumper car-style paint job, wears AN’s signature four stripes, along with a small “AN” logo embroidered on the hand-stitched brown leather seat. On top of the tank is the word “Rebel” spelled out in a retro, curvy font. Other mods include custom brown grips and a caged, yellow-tinted headlamp. 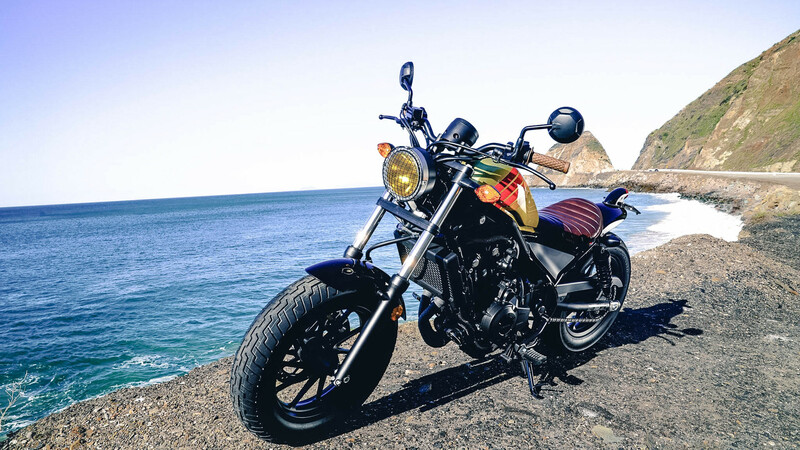 Aviator Nation’s founder Paige Mycoskie did a nice job injecting her brand into the Honda Rebel. The result hits home the retro, 1970s vibe that AN shares with the Rebel. It’s certainly hipster-y and might not appeal to the usual cruiser clientele, but it’s definitely a head-turner. To see the bike for yourself, copies of the motorcycle are on display at all Aviator Nation stores in California, as well as in its Aspen, Colorado location. Winners of the sweepstakes will also receive a $1,000 gift card for Aviator Nation. (That sounds like a lot, but remember...they charge over $100 for a pair of sweatpants.) However, it’s a nice bonus to getting a free, custom, Honda Rebel. Sign up for your chance to win here.